It’s July and this month’s Vacation Block by Pat Sloan is called The Hot Dog Stand. 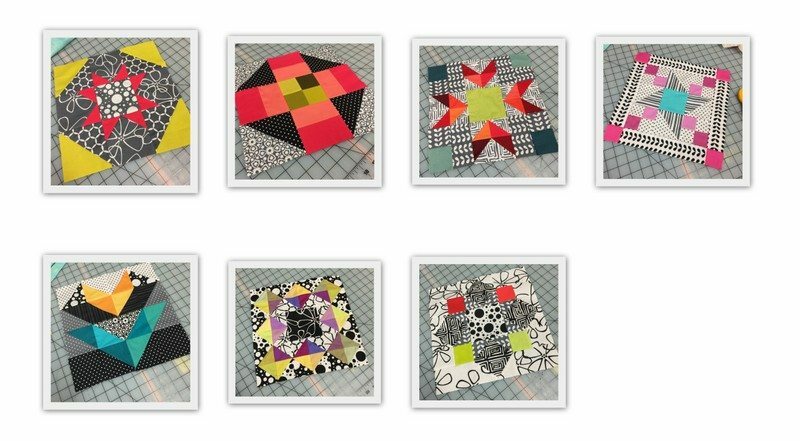 I have been following the BOM and making these simple but fun blocks, the 1st day of each month. My background fabrics are Shades of Black by Me and My Sister Designs for Moda and the solids are a mix of Moda Bella and Michael Miller Cotton Couture. You can find out about this great mystery BOM on Pat Sloan’s FB group page, along with all the other activities that Pat hosts.